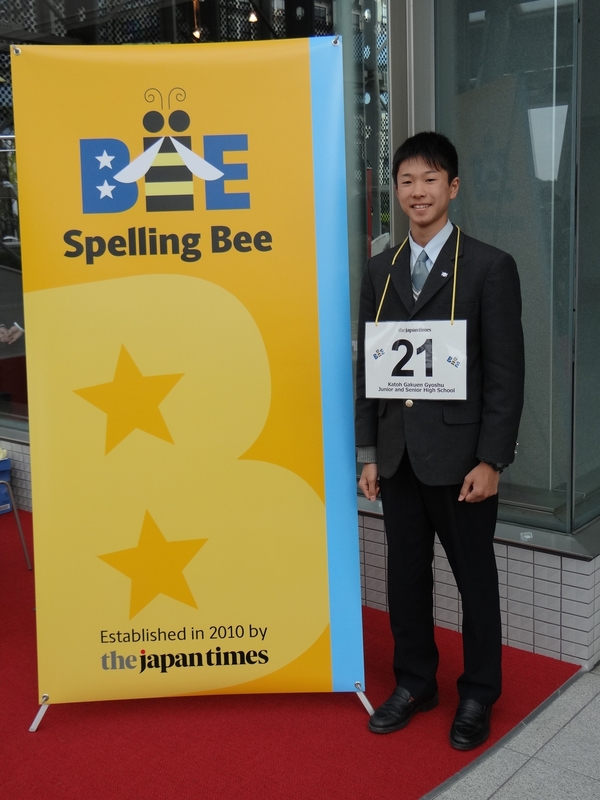 This year, Shoma Miyazaki represented Katoh Gakuen Gyoshu High School for the National Spelling bee held at Tokyo. I would like talk about the few things that has happened during my stay at Iowa. First, it was great to eat many delicious American hamburgers because I really like the taste in America more than Japanese hamburgers. Second, I made a lot of the American friends and it was an amazing experience to touch with their “normal” compared to Japan. There were a lot of differences for example, the way to take photos and the pop trends. In sum, I really appreciated that I was able to come and be with my host family. It was a great experience. Thank you! It has been 8 days after I had arrived in America. My host family has been very nice towards me and, I was able to experience many things. For example, Ryan who is the host family of my trip has brought me to many places to eat the delicious American food. The surprising thing was that there were many Chinese, Korean and Japanese restaurants. The foods were all made to be American, but it was still delicious for me to eat. Junk foods were the most exciting food for me to eat and try. Like as I had expected, the Zombie Burger was great and the deep fried french fries were super duper delicious and I definitely want to try them all again. Another important experience was that I was able to experience looking at a basketball tournament. Our Marion school was apparently famous for basketball. The match was the semi-finals. The entertaining thing was the insult that the fans had done towards the players. I was very surprised by how the fans can insult the other team's fans. It had seemed like a match between the players and also the fans. 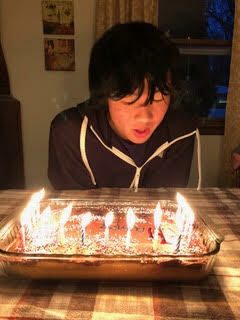 During the trip, I was able to experience a birthday party for me in America. 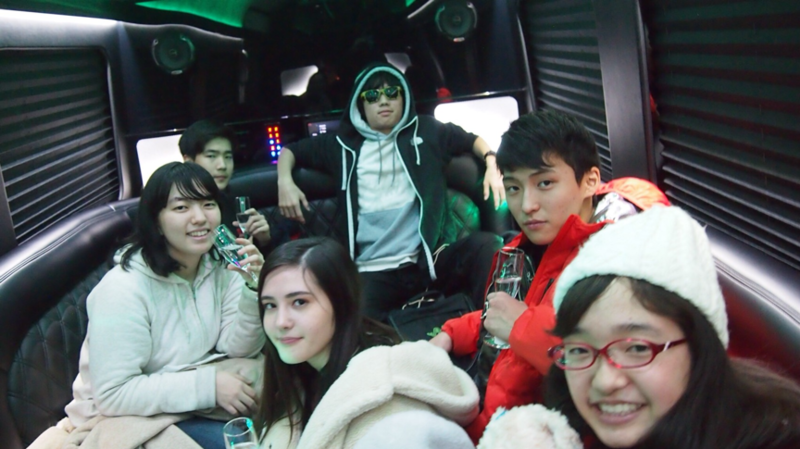 The birthday party that I had experienced in America was very unique. 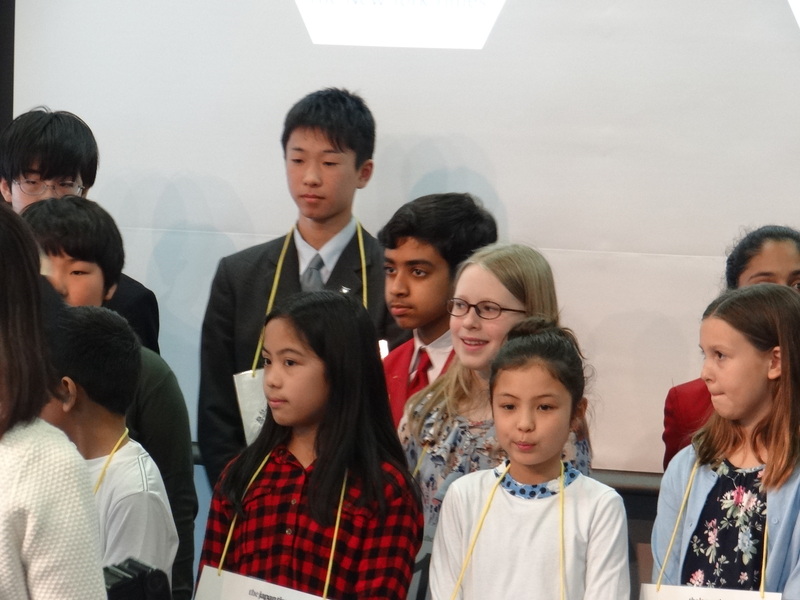 It was an experience that I could not have experienced in Japan. The birthday dinner in America was one of the activities that I couldn't have experienced. In the dinner, many family related members of Ryan had come to celebrate our birthday party. Therefore, I think I had experienced an important experience in America. Thank you to Ryan and my host family! Today was my last day of stay...so sad. I don't want to leave Iowa. I really enjoyed my life. Mashed potato with gravy sauce, roast beef, corn chowder, beef stew, mac&cheese, pizza, french onion soup. french fries, chicken nuggets etc. I love my host family's food. I miss my host family. I also missed my friends I made in the school. I cried a lot when I leave Iowa. I want to split myself into two and make half of me going to Canada and half of me staying Iowa with my host family. When I get back my phone, it makes me shock. My phone was dead due to the battery. I thought I turned it off when I give it to the teacher, but by looking at my dead phone, I realized I didn't turned it off. The airplane ride was not horrible. It was a bumpy ride at first, but the rest of ride was peaceful. Total 7 hours of ride. So long! I felt bored. Anyway, we were successfully arrived to Canada! The photo attached to this diary was the photo taken in the bus from airport to hotel. It was so good. The bus was way more gorgeous than I thought. Tomorrow, we will go around Vancouver by bicycle. I'm feeling some kind of homesick towards my host family, but I'm enjoying my stay at Canada. 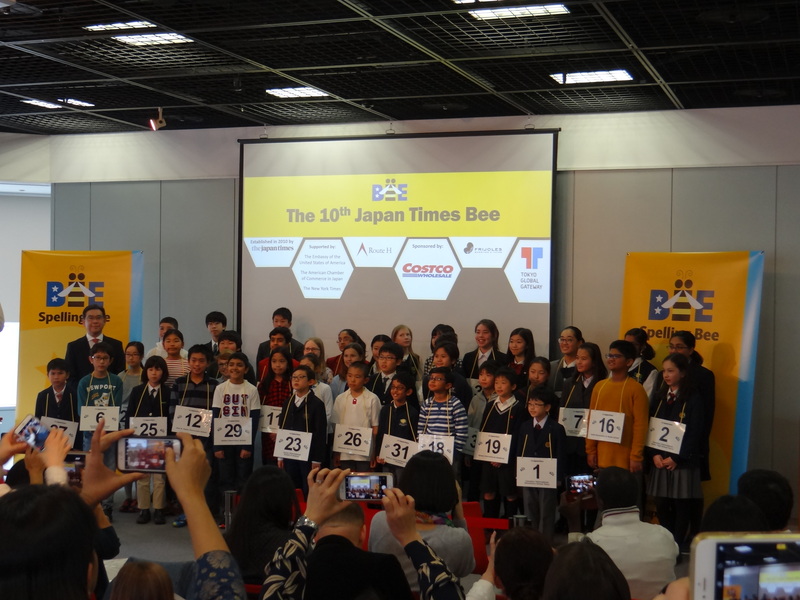 See you in Japan! In Iowa, I've been spending beautiful time with my host family every day. At the beginning of this trip, I was full of worry and anxiety about everything I'll do in Iowa. But, now, I'm full of happiness and excitement to be here. Actually, I and my host family visited various places in Iowa. For example, we visited an ice hockey game with my buddy and my host father. This was my first time to see ice hockey at the venue. It was more powerful and interesting than I had imagined before going there, and I had experiences that I had never experienced before. I am really thankful to my host family. As other examples which we visited, I visited the place called "Indian Creek" with my host mother and I learned the process if completion of maple syrup and the history of maple syrup. In addition to enjoying life in Iowa, I learn things that I can only learn in Iowa and the United States like this. Also, my host family goes to church about three times a week, so I usually follow them as well. In the church, we listen to the teaching of God, sing songs and each pray to God. Also, these kind of things were the first time for me, so I've been having quite beautiful experiences here. As I said before, we visited various places with my host family, but especially my memories remain with my buddies and skating together. 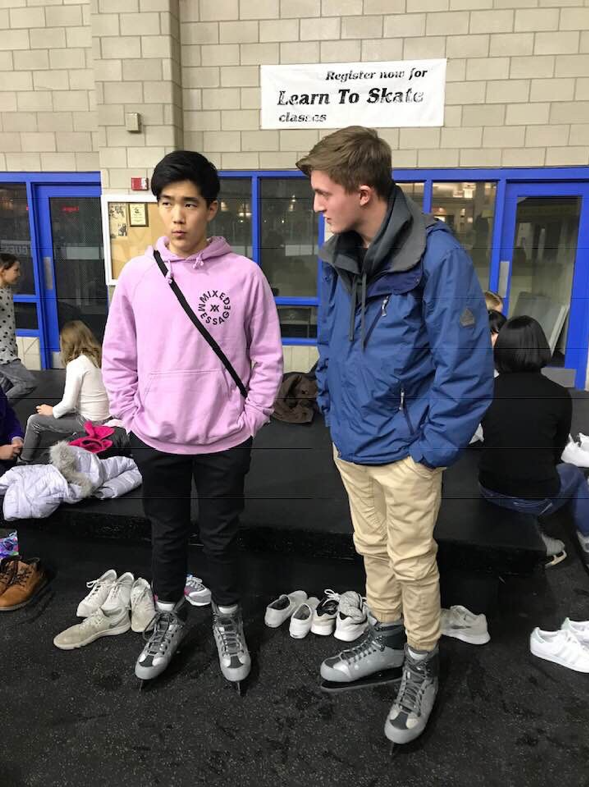 Actually, my buddy was not good at skating and had resistance to going to skating. 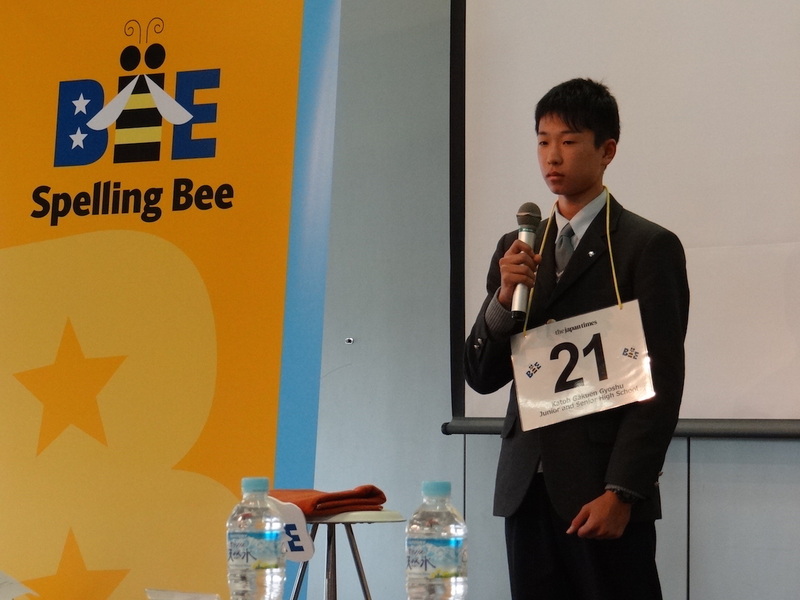 However, it was very impressive that he himself made a great effort and he was able to proceed on his own. I'll give you a picture which we took together before skating. 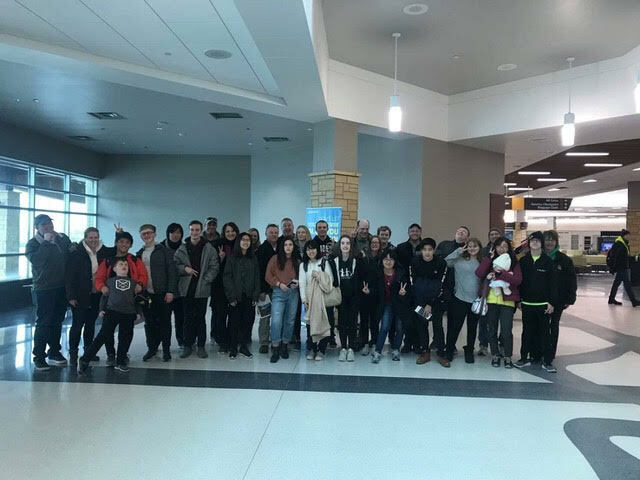 I only have 3 days which I can stay with them, but I want to spend wonderful days with my family and want to learn things more and more from them and from Iowa.